For many years, Olympia Mountaineers Ray Philen and Donnie Miller maintained our online "home" at www.olympiamountaineers.org. In 2014, The Mountaineers launched a new website, designed to make it easier for people to discover and get involved with our community. After nearly five years, we've managed to move all of our old content on to the new platform. Thank you to everyone who helped! Your new home for the Olympia Mountaineers is mountaineers.org/Olympia. Go ahead and bookmark it on your browser now to stay up to date on all of our wonderful courses, activities, and events. And, below, find quick links to all of our fantastic opportunities and resources. Visit the Olympia Mountaineers home page to learn more about the Olympia Branch of The Mountaineers. This page provides a summary of yearly activities as well as links to various pages and resources on the website. View the Events & Activities Calendar to see upcoming Olympia Events & Activities. Use the buttons above the calendar, and on the calendar you can toggle between viewing ALL Events and Activities, Upcoming Events, or Course Activities. Stay current with Olympia Mountaineers by reading our News and Blog Posts. 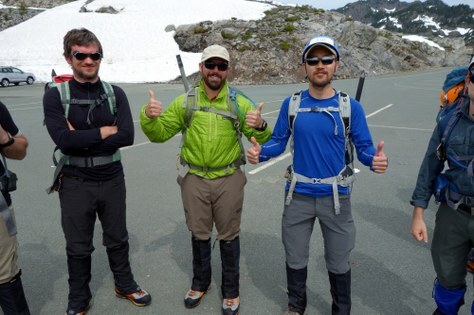 Get outdoors by finding Courses and Activities with the Olympia Mountaineers. Courses and activities with other branches can also be searched from Mountaineers Home Page. Click on Find Activities or Find Courses, and then use the filters on the left panel to search for courses and activities by branch, type, or difficulty level. As a reminder, you can participate with courses and activities from any branch, regardless of your personal branch affiliation. The Olympia Branch Council, Meeting Minutes, and Committee Chairs page lists the current branch officers and committee chairs. These volunteers run our branch courses, activities, and events and make it possible for all of our programs to exist. If you run into any Olympia volunteer, please tell them thank you and that they are awesome. The Olympia Branch Committees page lists and provides webpage links to Olympia's active committees. These committees plan, organize, and implement all of our courses, events and activities. A wonderful benefit of becoming an Olympia Mountaineers member is access to the Olympia Branch's Library, which holds over 1,900 items including books, maps, and DVDs related to all types of outdoor adventuring. Bear canisters are also available for check-out. Olympia Mountaineers' Volunteer Librarian, Maxine Dunkelman, enthusiastically invites you to check out the collection. If you still need help with finding information, or have corrections to the Olympia Branch's pages, contact the volunteer Olympia Webmasters. And, you can contact the main member services team at info@mountaineers.org at any time for assistance as well. That website hosted a PDF of a crevasse rescue set up that was very helpful - where can I find this now?